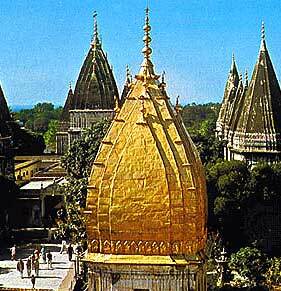 Arrive Jammu and later drive to Katra enroute visiting the famous Raghunath Mandir in Jammu. 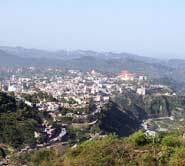 Take rest for sometime in a hotel and after freshening up start your journey to Mata Vaishino Devi. The yatra begins at Katra from where you can go bare foot, horses or palki for the darshan. Today continue with a 13 km journey that covers Banganga, the Adhkawari cave, Sanji Chhat, Bhawan, the shrine and the Bhairon temple. Later after the blessings of Mata return back to Katra. Take rest at the hotel. With the blessings of Mata continue your drive to Patnitop- A charming hill station with beautiful serene. Dense woods and lush greenery of Pines surround the meadow. Visit the places, which is an ideal for walks and picnics. Those with a less adventurous spirit can indulge in pony rides along little known trails, camping and walks. The other option is for Para gliding and basic skiing, Later drive to Pahalgam. Today visit the Valley of Shepards-Pahalgam. You can move around the place hiring a pony rather then walking. Visit the huge, undulating meadow of Baisaran, surrounded by thickly wooded forests of pine. Next move around the Village of nomad is un-spoilt by the ravages of progress. The large brown bear is a natural inhabitant of the thick Pine and Cedar forests. 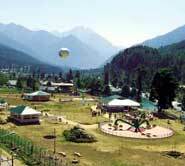 Pahalgam is also base camp for the pilgrims of Amarnath Yatra. 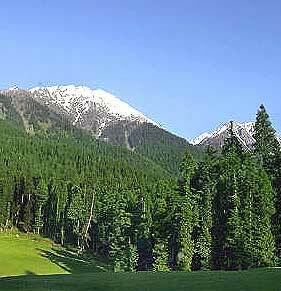 You can enjoy lots of recreational activities in Pahalgam starting form Horse Riding, Golf, Fishing, and Trekking. Later you can enjoy shopping for the products made of wool. Today visit to the Meadow of Flowers-Gulmarg. In summers, the meadows of Gulmarg are laden with flowers whereas in winters, the snow-covered slopes of Gulmarg turn into a skiing resort, for adventure and thrill. It is one of the popular trekking destination and boasts of the world's highest golf course. 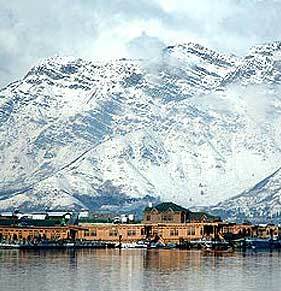 Srinagar is the summer capital of the state of Jammu and Kashmir and is the pride of the beautiful valley of Kashmir. 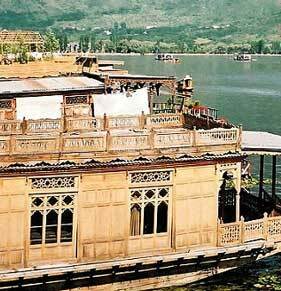 Srinagar is famous for its lakes and the charming rows of houseboats floating on them. 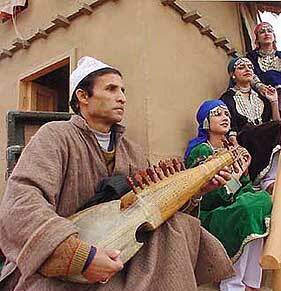 It is also known for traditional Kashmiri handicrafts and dry fruits. In the evening move around the town and revel in the scenic surroundings. After breakfast visit the beautiful city of lakes-Srinagar. 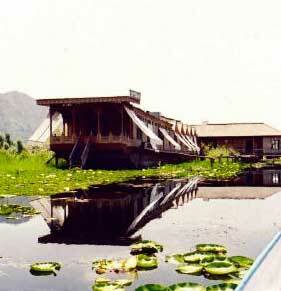 This lake is one of the important tourist attraction of Srinagar. 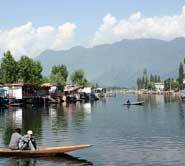 The Dal Lake comprises of a number of lakes, including the Nagin Lake some 8 km from the city center. 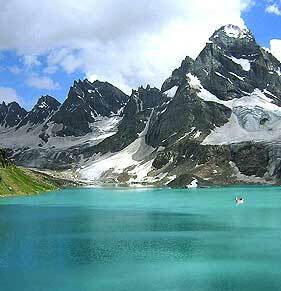 You can enjoy the panoramic view of the mountains surrounding Srinagar from this lake. Later you take on a ride on traditional Kashmiri boats or Shikaras to explore the intricate maze of waterways of this lake. Later in the afternoon visit the well laid out Mughal styled gardens. The Shalimar Bagh and the Nishat Bagh are beautiful gardens located to the far eastern side of the Dal Lake. You can walk around these green and attractive gardens and enjoy the waterworks within them. 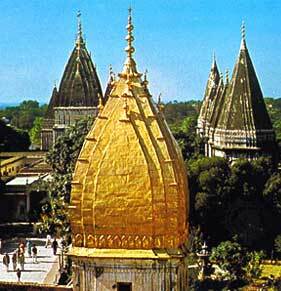 The temple of Shankaracharya is another important place to visit in Srinagar. Later transfer to the airport to catch your flight towards onward destination. Copyright � 2009 Aspark Holidays Pvt. Ltd.